It is so hot outside, what better way to cool off then with ice cream. 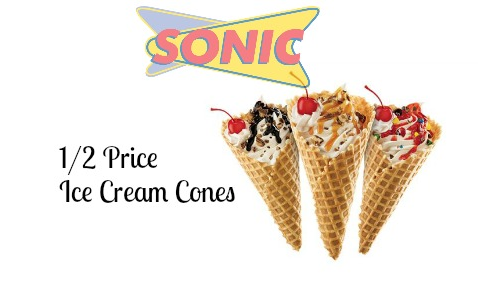 Stop by Sonic on 7/7 and get half price ice cream cones! There is no coupon needed but you need to mention this offer to get this deal. The deal is valid 7/7 only. Be sure to call ahead to your location to make sure they are participating.